SO NOW !!! 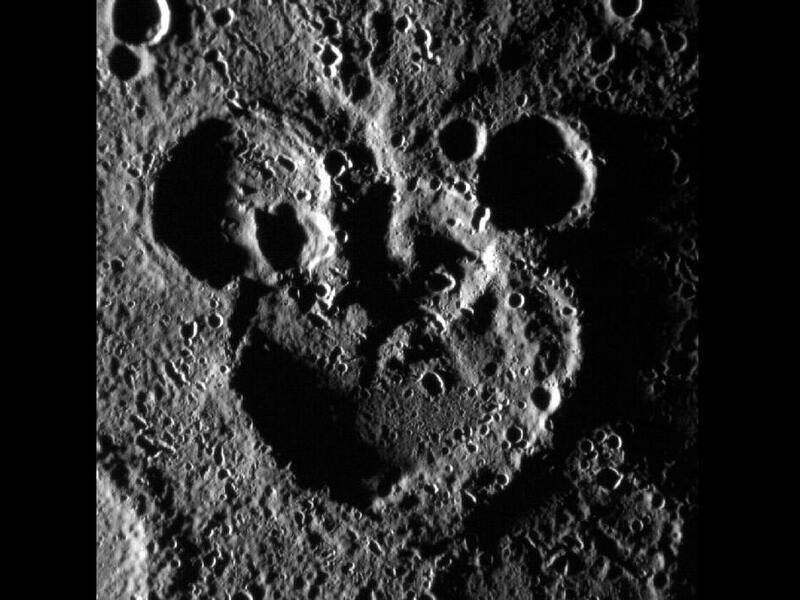 We find that the solar system is one big collection of hidden Mickeys. You mean to tell me that all those faces are not signs of an ancient civilization that colonized it’s way through the Solar System? I am so sad. Inspires this SciFi short: Imagine in future a wealthy artist flies her personal spacecraft out to the asteroid belt. She searches for just the right size and shape chondrite or rocky asteroid. Eventually she finds what she’s looking for and using her ship’s tractor beam, pulls that object back to earth orbit and sets about sculpting a smiling Kuan Yin with a delicate light reflecting halo, for all to see. Argh! The crop circles of the future. If you ask me, the right ear is a little smaller than the left. No way it looks like Mickey. What about the Happy Face on Mars?